PARP-1 is a nuclear protein that is specifically cleaved by caspase-3 and caspase-6, but not by caspase-1, into a signature apoptotic fragment. PARP-2 and PARP-3 interact with PARP-1. PARP-4, also designated vault poly(ADP-ribose) polymerase (VPARP) and ADP-ribotransferase-like 1 (ADPRTL1), associates with the major vault protein (MVP) and telomerase-associated protein 1 (TEP1) to form vaults, barrel-shaped cytoplasmic ribonucleoprotein particles. PARP-4 localizes mainly to the cytoplasm but is also found in the nucleus. 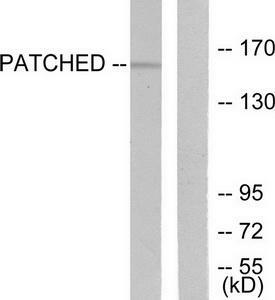 The PARP-4 protein is expressed widely, with highest levels observed in the kidney, and is also detected in skeletal muscle, heart, leukocytes, placenta, lung, liver, spleen, and pancreas. PARP-4 contains a PARP (ADPRT)-like catalytic domain, a C-terminal MVP-interacting domain, a domain with two sequences similar to inter-alpha-trypsin inhibitor, and an N-terminal BRCA1 C-terminus (BRCT) domain, which may be involved in protein-protein interactions. 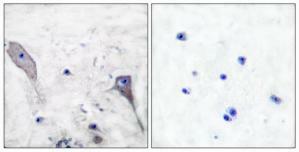 Immunohistochemistry analysis of paraffin-embedded human breast carcinoma, using PARP4 Antibody. The picture on the right is treated with the synthesized peptide. 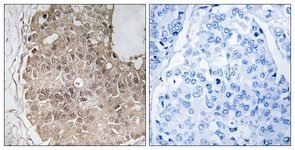 Immunohistochemistry analysis of paraffin-embedded human breast carcinoma tissue using PARP4 antibody.The picture on the right is treated with the synthesized peptide. 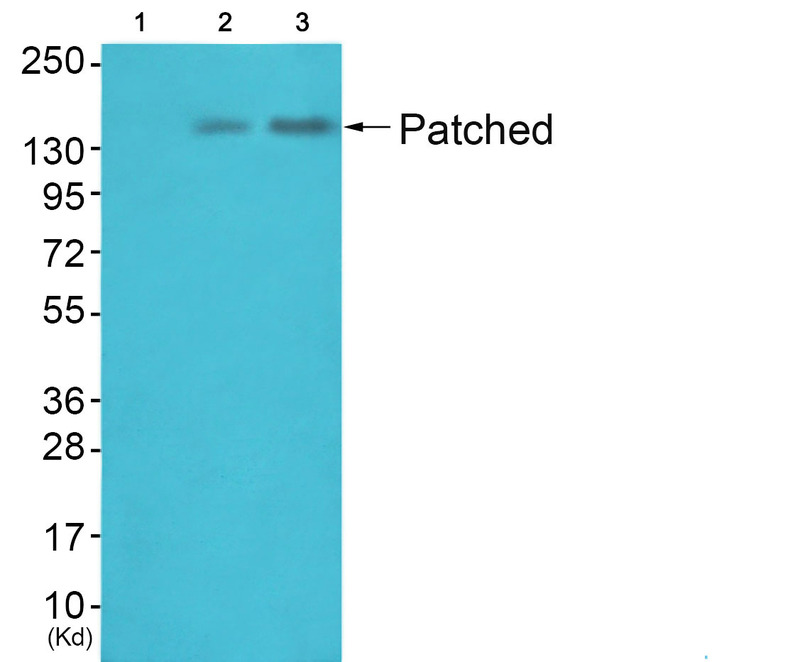 Western blot analysis of extracts from mouse muscle cells, using Patched antibody (#TA326252).The lane on the right is treated with the synthesized peptide. Western blot analysis of extracts from 3T3 cells (Lane 2) and HepG2 cells (Lane 3), using Patched Antibody. The lane on the left is treated with synthesized peptide. Immunohistochemical analysis of paraffin-embedded human brain tissue using Patched antibody (#TA326252).The picture on the right is treated with the synthesized peptide.